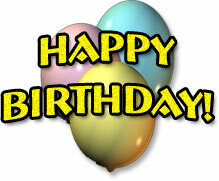 Happy Birthday graphics and animations. Lots of clipart including balloons, cakes and even a few alligators. Codes are for websites, Myspace, HI5, Xanga, Tumblr and others. Smiley celebrating his birthday with presents and Happy Birthday. Happy Birthday with balloons and stars. Happy Birthday animation with balloons and confetti. Celebrating birthday with a dance animation. Birthday Cake animation on black. 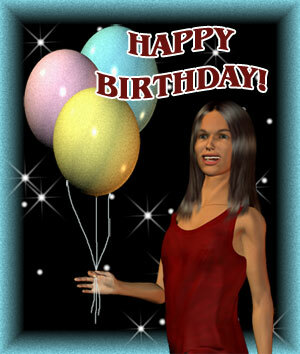 Happy Birthday animation with flashing balloons. 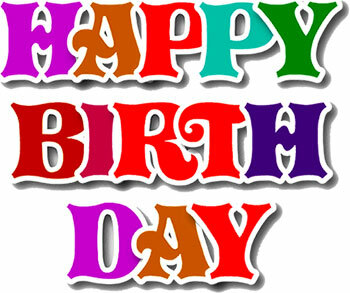 Happy Birthday in many animated colors with a black background. Happy Birthday with a birthday cake and confetti. 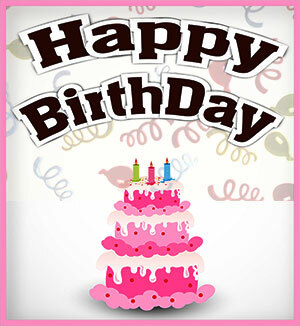 Happy Birthday with balloons and glitter animation. It would be a good idea to only send this to really "good" friends. 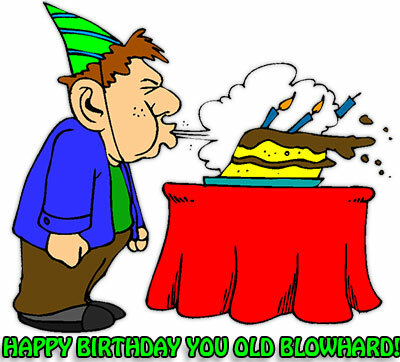 Happy Birthday You Old Blowhard! 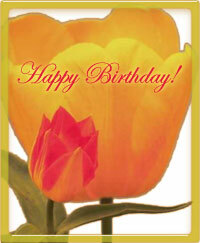 Happy Birthday with tulips in frame. Happy Birth Day sign of many colors. 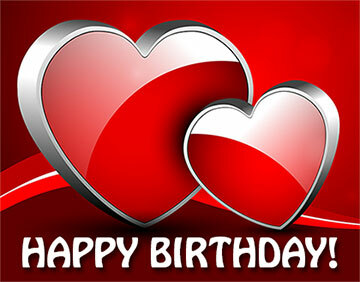 Happy Birthday with large red hearts. Happy Birthday with balloons on white.